Testimonial | Louise Lasser of the TV show "Mary Hartman, Mary Hartman" | 1-800-GOT-MOLD? 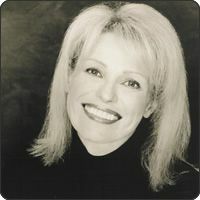 Louise Lasser, New York City, of the TV show "Mary Hartman, Mary Hartman"
"I am writing you this letter to express how much I appreciate your personal attention and the fantastic service your company provides. After suffering from chronic sinus infections and difficulty breathing for far too long, I finally went to Wellington Tichenor M.D., a well-known and highly-regarded sinus & allergy specialist on Park Avenue. He immediately suspected that I might have a mold problem at home. He gave me your phone number and insisted that I call you to have you come to my apartment to check it for mold. I had read about major mold problems like the one Bianca Jagger had. Naturally, I was scared of what you would find and how much everything would cost. The second I met you, however, you put me at ease. You patiently took the time to explain everything to me and made a very complex subject simple and easy-to-understand. Your four-legged partner, Oreo, is so magical. To see her work is such an absolutely amazing thing. She immediately targeted places I knew were a problem, confirming my suspicions and, at the same time, giving me great confidence in the two of you. Oreo also found several areas that I would have never found. I cannot imagine getting a mold inspection done without the assistance of a Mold Dog after seeing you and Oreo at work. Even though I have to change the filters more than I would like to, I am quite grateful for the IQAir air purifiers which have helped me breathe more easily while negotiating with building management to get the mold remediation and repairs done in my apartment. Please use me as a reference for your potential customers that are considering whether or not to use your service. I know firsthand how scary it can be. I also know firsthand how wonderful you are. Say hello to Oreo for me." Got mold questions? Ask the experts. Why dogs? The nose knows. 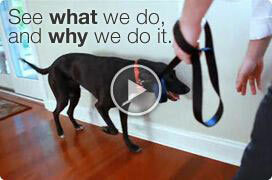 Learn more about why our specially trained dogs are the key to our success.